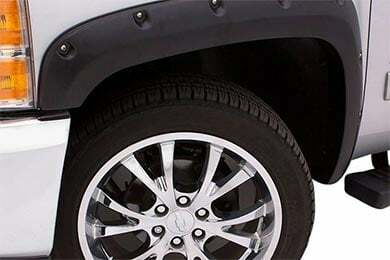 Lund RX202T - Lund Elite Series RX-Rivet Style Fender Flares - FREE SHIPPING! 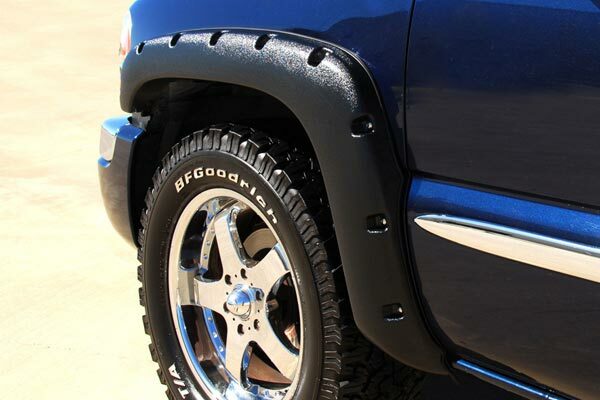 First off my truck is a 99 dodge ram 1500 laramie so it has a rubber guard that runs the length of the vehicle. This had to be cut to install the fender flares. Second the tabs to install to the truck do not all line up with the wheel wells so i used loc ties for some of the holes about 2 for each wheel well. Product is also a bit weak considering the price. 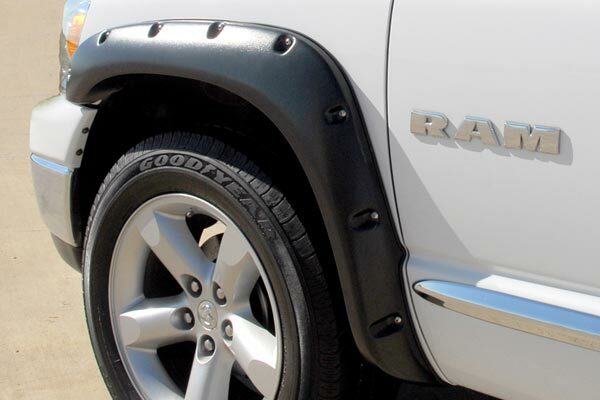 Rating is based mainly on the fact that product did not fit to vehicle without modification. Fit was good, clips did not work well on the front, there just was not enough edge (inner fender lip) to catch with out modifications so I drilled and screwed them on, much more secure. Lot of compliments. 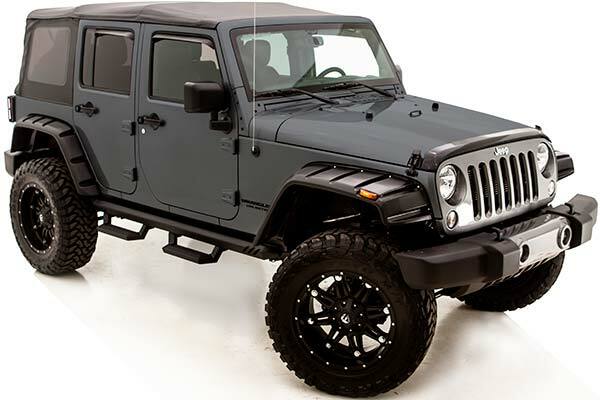 Only negative comment is they make my 35" BFGs look smaller (with 5 inch lift). May have to upgrade to 37's when 35's wear out. Decent flares. Only can use 2 clips on front. Had to use screws on the rest. 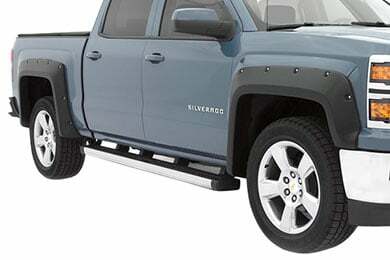 The rear flares are not cut or molded for the rubber trim but did not have to use screws. 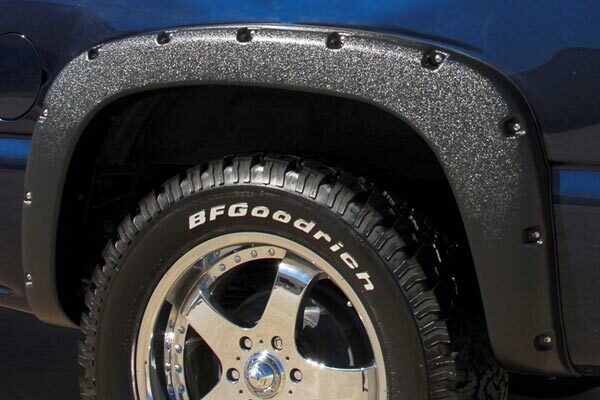 These fender flares fit perfectly on my truck and cost less than some of the others. I have had many complements on how good they look. Great product! Over priced plastic-Cheap rubber moulding-Mounting hardware worthless-I will see how the mounting looks in the spring. Fit & finish good. Reference # 753-677-300 © 2000-2019 AutoAnything, Inc.